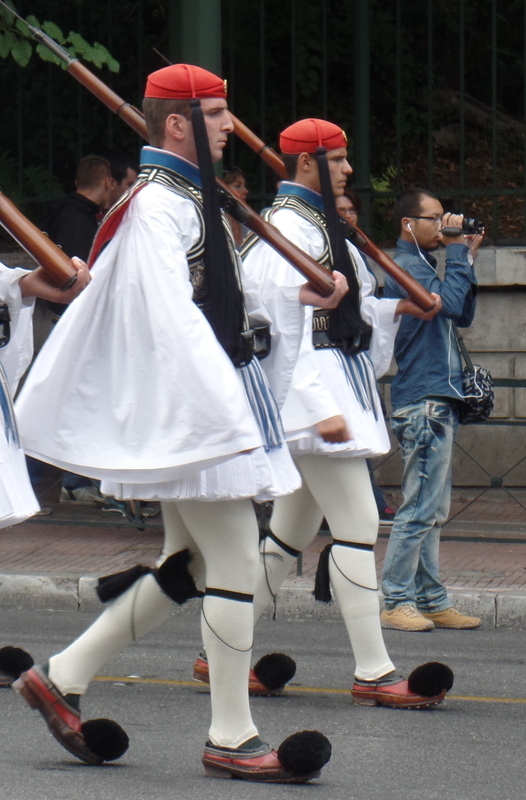 After the amazing chance encounter with the Greek soldiers demonstrating changing of the guard, I was excited to see if we could watch the Bulgarian changing of the guard. At the beginning of the video, the soldiers are coming out to change the guard. 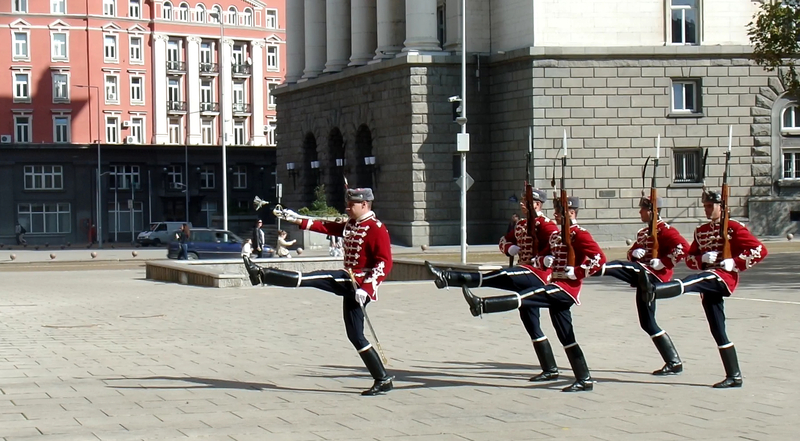 Their long stomping strides reminded me of toy soldiers with a hint of ballet technique. After changing the guard, the troop returns to the barracks from whence they came. It was neat to see. I now want to see each of the different style as we progress and I regret not investigating if Turkey had one. Below is an edited version of the video I shot. Some parts are shaky because I realized I was in their path and had to move out of the way. Enjoy!